SOS Aloha Book Reviews and More: Aloha to Weekly Winners and VERA - a UK set mystery series. Aloha to Weekly Winners and VERA - a UK set mystery series. Hau'oli Makahiki Hou - Happy New Year! We have winners at SOS Aloha - Denise, Di, and Carol win a book choice from my convention stash. 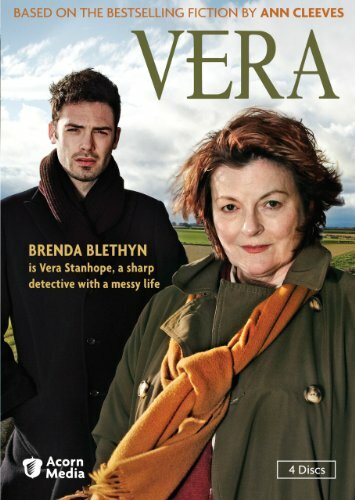 Vera is a British crime drama series based on novels of the same name, written by crime writer Ann Cleeves. It was first broadcast on ITV on 1 May 2011, and to date, six series have been broadcast. A seventh series is set to air in 2017. The series stars Brenda Blethyn as the principal character, DCI Vera Stanhope. Vera is an employee of the fictional Northumberland & City Police, who is obsessive about her work and driven by her own demons. She plods along in a constantly dishevelled state, but has a calculating mind, and despite her irascible personality, she cares deeply about her work and comrades. Vera forms a close relationship with both of her sergeants, Joe Ashworth (David Leon) and later, Aiden Healy (Kenny Doughty). 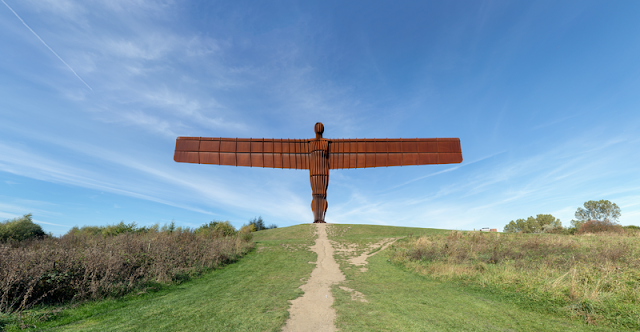 Set in the Northeast corner of England, VERA offers a diverse landscape for murder from gritty city streets, to breathtaking North Sea beaches, to the mysterious moorland. Every scene is gorgeous. Vera muddles around in a wrinkled raincoat and late model Landrover, adding to her persona. She barks orders at her large team to investigate each murder, but spends most of her time with Sergeant Joe Ashworth. Vera uses the terms "luv" and "pet" in her British accent when currying favor with witnesses. The mysteries themselves are intriguing, pulling out a few red herrings, family secrets, and unexpected villains. In essessence, VERA is the UK version of TNT's THE CLOSER with Kyra Sedgwick. Vera even has her own version of Prevenza - DC Kenny Lockhart. Added bonus - actress Brenda Blethyn starred as Mrs.Bennett in the 2005 film adaptation of PRIDE AND PREJUDICE with Keira Knightley. Look for VERA on your local PBS station. Can you recommend a mystery series - book, TV, or film? Or your favorite Jane Austen romance - book, TV, or film? I enjoyed THE CLOSER when it broadcast on TNT. I adored the mini series of PRIDE AND PREJUDICE starring Colin Firth. Sigh. Mr. Darcy. One randomly selected commenter wins a book choice from my convention stash. Comments are open through Sunday, January 8, 10 pm in Baltimore. I'll post the winner on Monday, January 9. I caught the tail end of an episode of VERA one night. .Hope everyone has a Happy New Year. I love British mysteries. I shall explore this one. Love Vera. I watch Grantchester, Silent Witness and Midsomer Murders. I'm currently watching the P&P movie Brenda was in! Congrats winners and Happy New Year! I think the Pride and Prejudice series with Colin Firth was the best version of that particular book. I haven't seen Vera listed on our local PBS station. I will have to check more closely. I wonder if we could get it on the BBC channel? I enjoy Sherlock, Poirot, and the original BBC Miss Marple. I really enjoyed Inspector Morse and was sad to see it end (and even sadder for the reason it did). I have enjoyed the 2 spin-offs, Inspector Lewis and Endeavour. Congratulations, Denise, Di, and Carol. Enjoy. I enjoyed the BBC show, Case Histories, which was based on the Jackson Brodie series by Kate Atkinson. Congratulations winners and Happy New Year Everyone! My in-laws love watching British mysteries. I will have to see if VERA is on DVD for them. Mahalo, Kim!